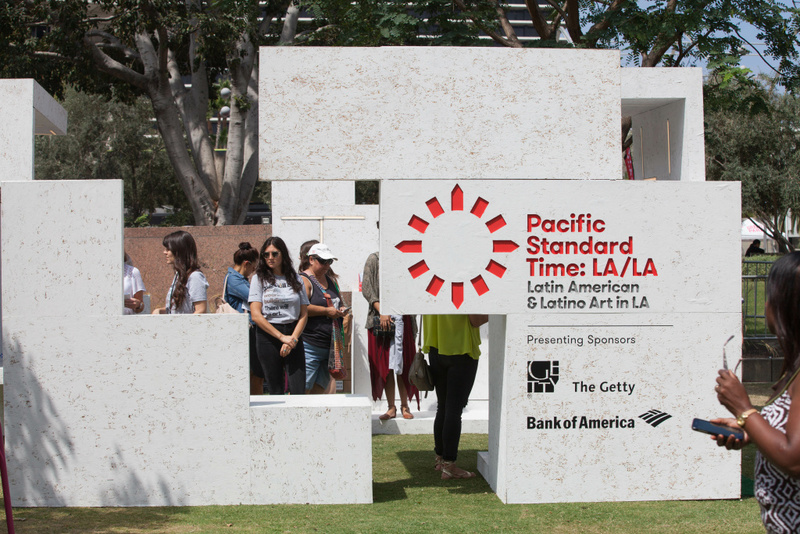 Pacific Standard Time: LA/LA launched with a free, daylong festival at Grand Park in downtown Los Angeles. 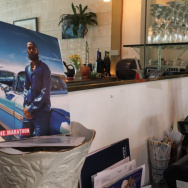 The new report also shows that the initiative's impact went well beyond the arts and entertainment industries, and that it engaged new audiences with art. Pacific Standard Time: LA/LA was the second round of Pacific Standard Time, this time focusing on "Latin American and Latino art in dialogue with Los Angeles." It was put on with the help of $16.3 million in grants from the Getty, and featured work in over 70 museums and institutions across Southern California. J. Paul Getty Trust vice president for communications Ron Hartwig said that the report confirms their hopes "that the economic impact from Pacific Standard Time: LA/LA would be significant." "I think the important lesson to be learned from this is that investments made in supporting art and culture ... prove that it's not just giving a donation to the arts, it's really making an investment that has a return," Hartwig said. The findings weren't just fiscal, though. Hartwig said that he and his colleagues "were also delighted by the way that so many millennials participated by visiting exhibitions and programs and presentations," adding that about 40 percent of visitors to the Pacific Standard Time: LA/LA exhibitions and programming were under 34 years old. "Our focus was on the millennial audience largely because they don't have a strong track record of visiting museums," he explained. "This, we thought, was an opportunity to get them to experience the museum experience, and that's important because they represent the next generation of museum goers." Manual Arts senior Kimberly Gonzalez, who said she loves to draw, tried creative writing while at the kickoff event. Pacific Standard Time: LA/LA is taking over museums and galleries across Southern California, but visiting those venues isn't the only opportunity for students to interact with its content. 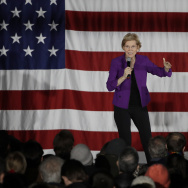 "I don’t know where’s the most local one, and sometimes my parents aren’t available," she said. "They work at night, so sometimes they have to sleep during the day, so I can’t depend on them to lose their sleep so they could do this for me." Art and english teacher Learsi Martinez paints a red flower on the face of 17-year-old Jocelyn Cordova. Cordova, who lost her sister, says her sister loved red and flowers. Many of Learsi Martinez' students in her English and art classes have experienced trauma in their lives and have lost someone close to them. "Sometimes, the young people don't have spaces to talk about the person who has passed," Martinez explained. 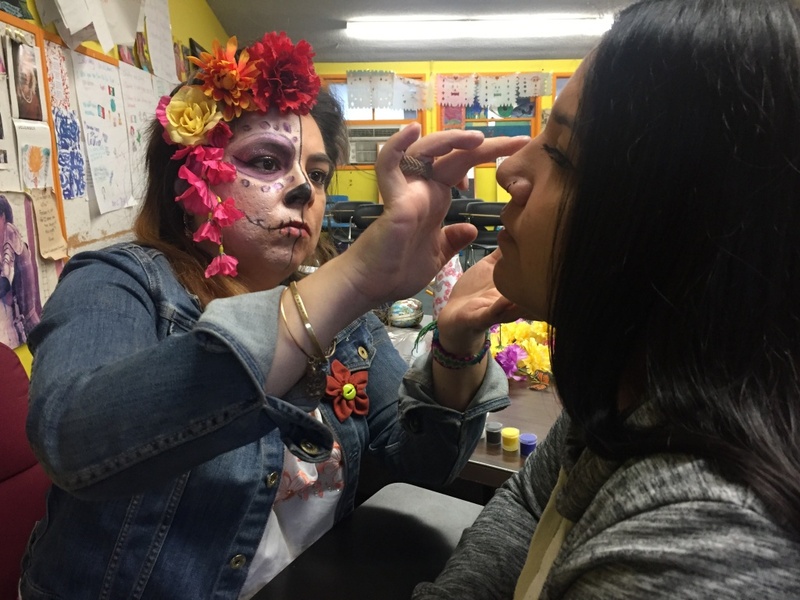 So she uses art to create an environment where they can, and the annual Day of the Dead celebration creates an opportunity for that conversation. This is not the only project Martinez plans to highlight and use art in her classroom. She's one of 50 teachers who received a grant from the LA Promise Fund and Pacific Standard Time: LA/LA to bring Latin American and Latino arts education to her students. 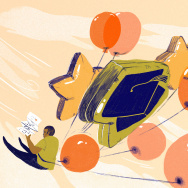 She will use the funds to present her students' work later this year. 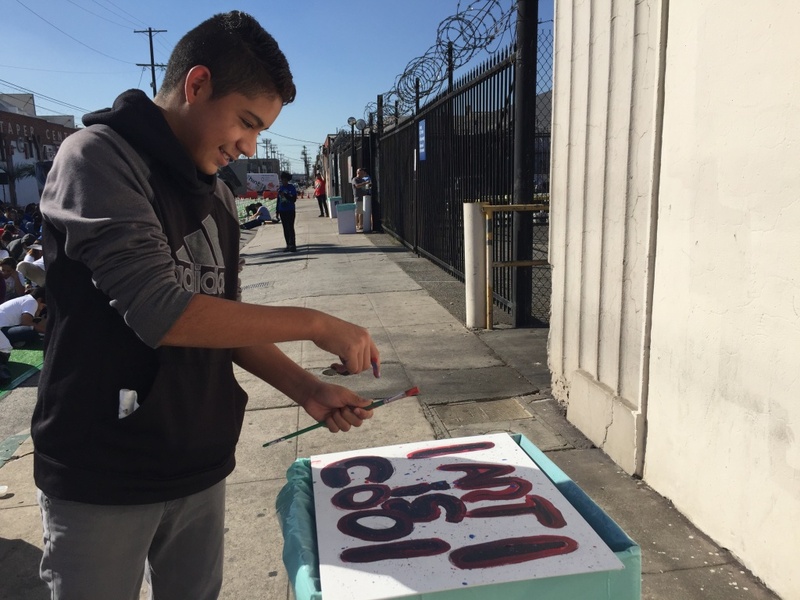 George Washington Carver Middle School 7th grader Diego Castañeda splatters paint on his canvas, which reads "ART IS COOL." He hopes to be a cartoonist or another type of artist when he grows up. Eighth grader Deija Dukes said she was excited to talk to a practicing artist, and to have art displayed in a public exhibition. 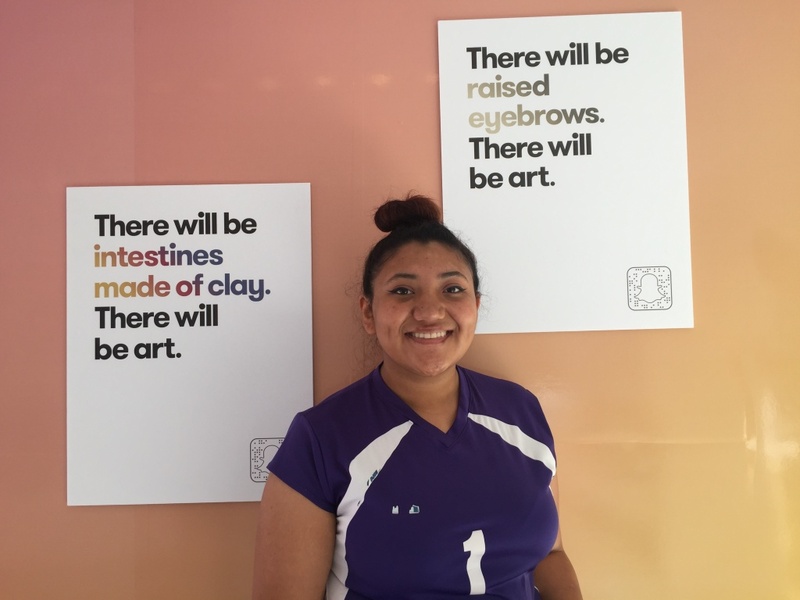 But the students from Clinton Middle School are taking it a step further: They're not just studying the art in the exhibits open to the public around southern California – they're making it, too. 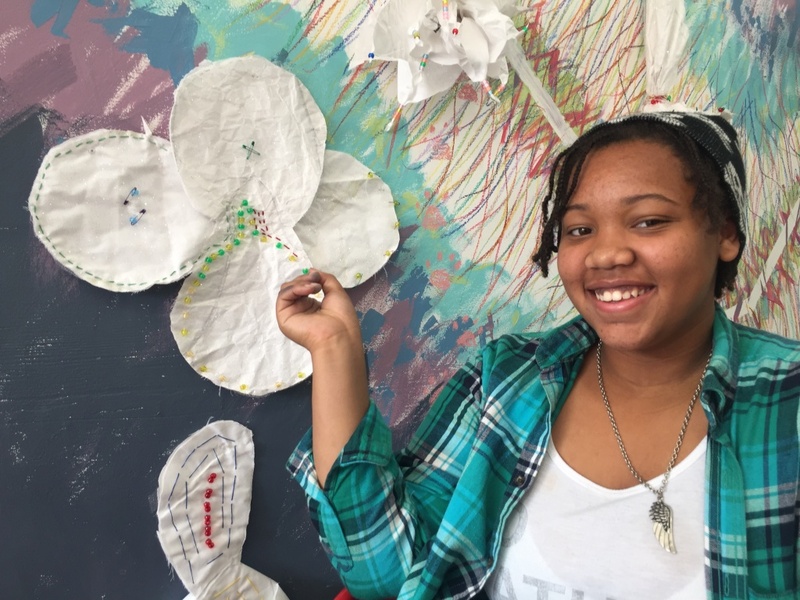 The students made white flowers and decorated them with beads, wires, and thread, with help from the PBS series Craft in America's educational outreach program.